Shop us for your factory and aftermarket upgrades! Sometimes factory accessories just don't give you the look you need to set yourself apart from the rest of the Toyota Tacoma's! 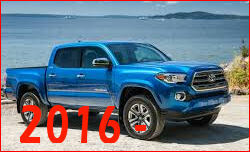 CHOOSE YOUR TACOMA'S GENERATION BELOW!